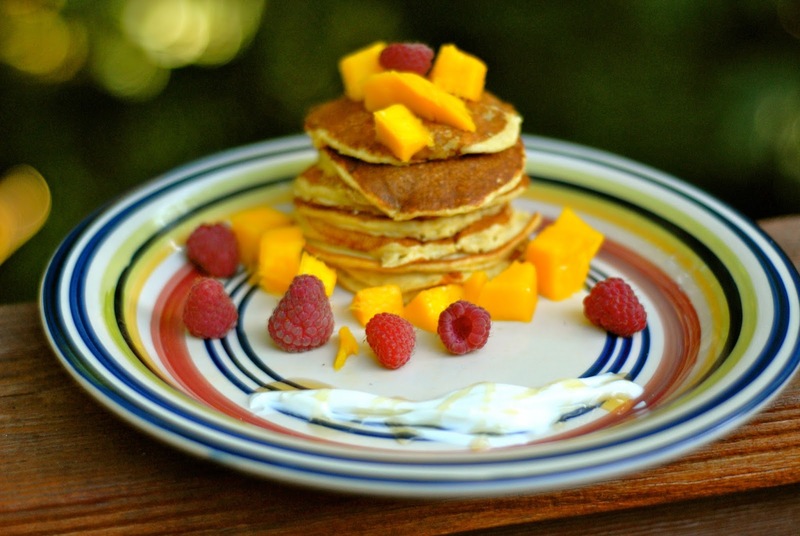 These pancakes are mildly sweet and fruity with a tangy little kick to them! 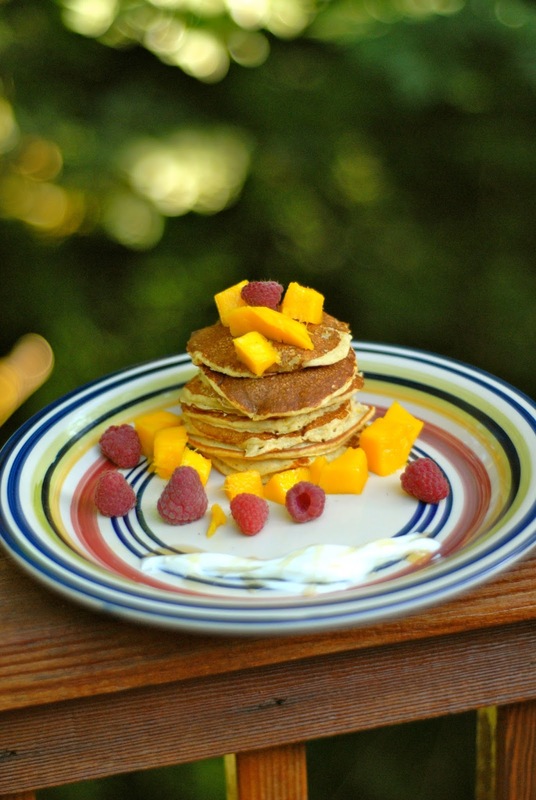 I was feeling the tropics and just sort of went with it for these pancakes. 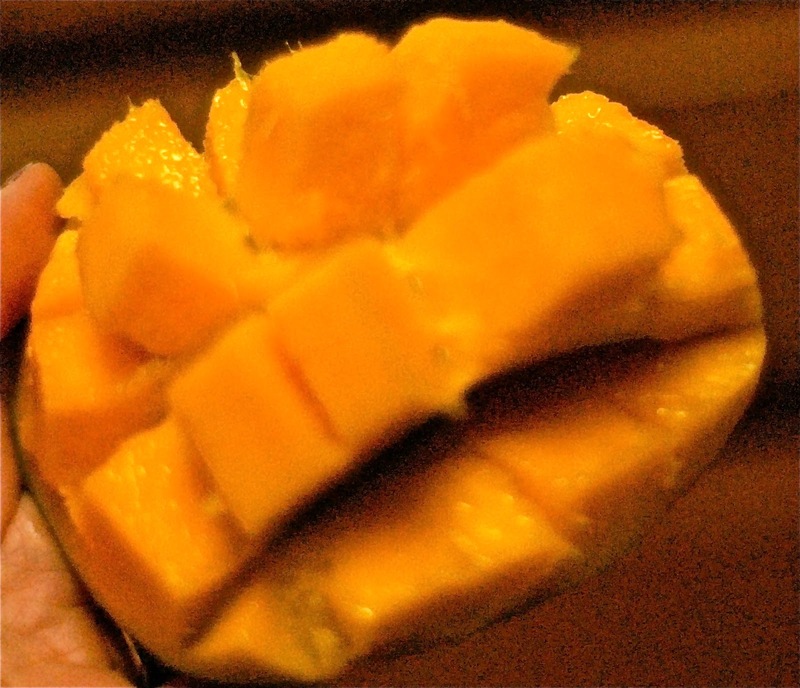 I absolutely love mangos and they are in season practically everywhere now, so I figured why not! 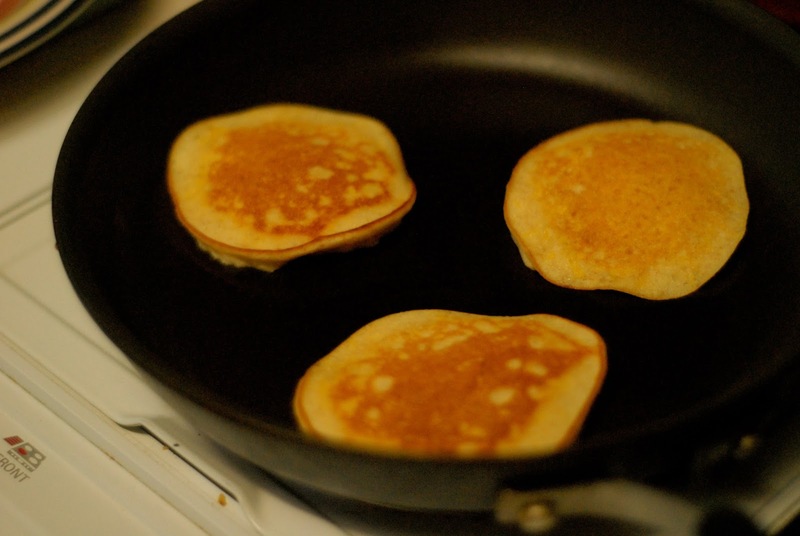 As a kid I used to eat my pancakes with lemon and powdered sugar on top instead of syrup. I loved that sweet/sour combo on top of a fluffy pancake, so that’s what I was looking to create here, sans flour, sugar and empty carbs! I think they’re pretty good, but you be the judge :). Add to blender. Zest lime over mixture in blender and squeeze in juice. Add the rest of the ingredients and blend well on low. 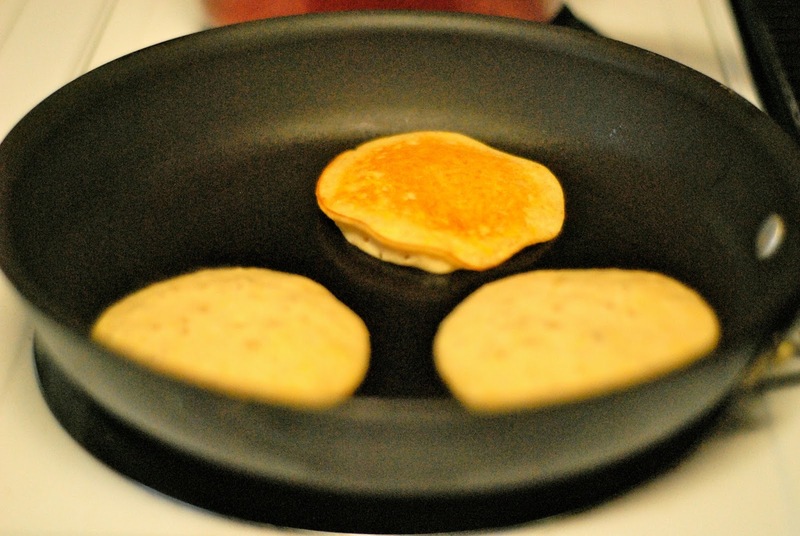 If you blend on too high a setting, your pancake batter will be kind of frothy… not sure if it affect taste, it just looks kind of weird. Flip when they bubble like this! 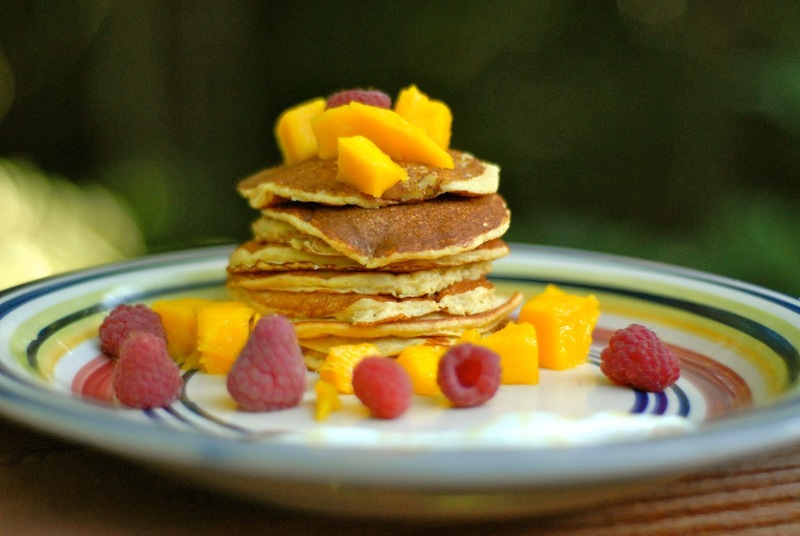 Garnish with raspberries, remaining mango and whatever fruit you like! Let me know what ya think! I’d love to hear from you :).